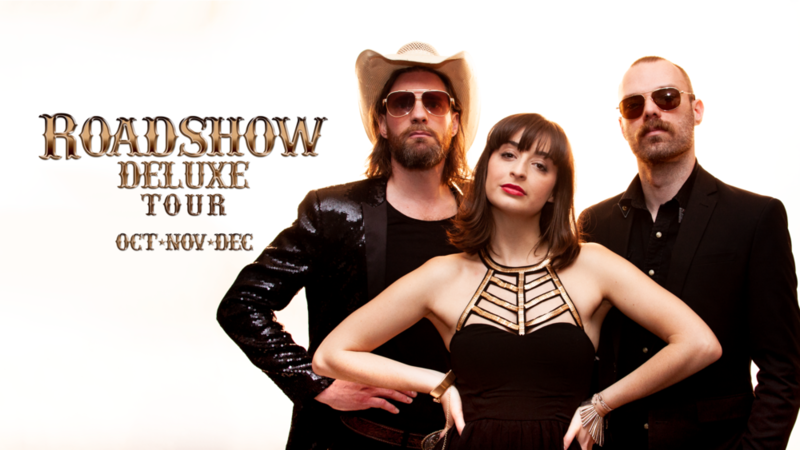 Ben Mastwyk, Rose Zita Falko and Mitch Power are pleased to announce the ROADSHOW DELUXE TOUR which kicks off in October Travelling to NSW, QLD and VIC. This year has been nothing short of action packed for these three and this tour promises to be a unique and exciting experience for all involved. Ben Mastwyk is hot off the release of his second album 'Winning Streak' which received rave reviews from both Country Update and Rhythms Magazine; "The songs are rich with meaning and truth…real and raw, just as true country music should be”. (Samuel J. Fell - Rhythms), “Winning Streak will be a hard album to top in 2018” (Country Update). Whilst Rose Zita Falko is also on the back of her debut EP "Original Son' which saw her EP launch show sell out the Wesley Anne in Melbourne and become a feature review on the Australian Musician website; "Her songwriting gift, her remarkable voice, her professionalism, warm and welcoming stage presence, and her genuine delight in the patrons’ response had made it a musical evening to remember." Mitch Power is no stranger to stages around Australia, touring heavily over the last 5 years with Kylie Auldist, Deep Street Soul, Dan Hamil, The Bombay Royale and also as a solo singer/songwriter. His knack for stage banter and his ability to command a room has made for a very successful and well-received switch to stand up comedy. "Really funny. Great stories from his life experiences", "Interaction with the crowd was hilarious." (fan reviews).